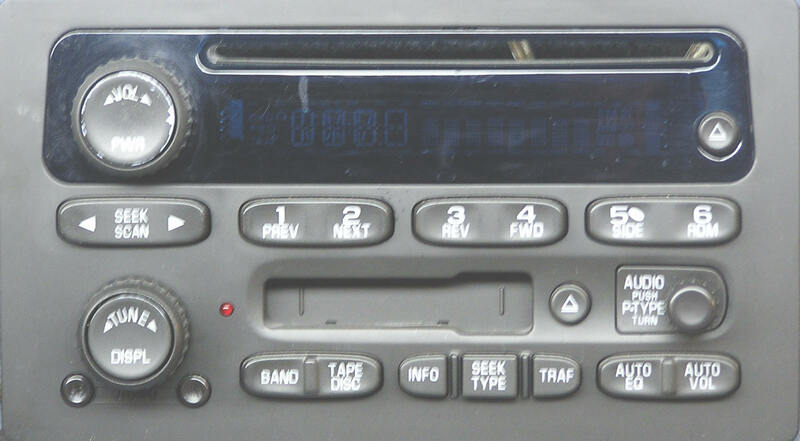 This section is an aftermarket car stereo installation guide. There is no standard that works 100% of the time. We will touch on several areas, car stereo size, kits, wire harnesses, antenna adaptors and installation. Some troubleshooting tips and notes. Single Din - dimensions for front face approx. 2" x 7"
Double Din - dimensions for front face approx. 4" x 7". House a single or double din car stereo. Saves you the headache of cutting the factory wire harness and figuring out the colors. Saves you the headache of cutting and splicing the fatory antenns lead. If the original factory car stereo opening is single din, in most case an aftermarket installtion kit is not needed. However, purchase the correct aftermarket wire harness and antenna adaptor if needed. All other aftermarket car stereo installions will require a kit, wireharnes and antenna adaptor if needed. Splice aftermarket wire harness and aftermarket car stereo mate to factory wire harness. Antenna adaptor mates to factory antenna lead. 2) The aftermarket car stereo mounts to the installation kit. Mount kit and car stereo into place. Violet with Black Stripe - Rear Right (-) Negative. Each speaker has a (+) positive and (-) negative terminal. Placing the (+) positive speaker terminal to the solid color wire and the (-) negative speaker terminal to the stripped wire is very important. Connecting these wires correctly is called "In Phase". Placing just one set of speaker wires backwards causes "Out of Phase" speakers. What is the symptom of "Out of Phase" speakers? Lose of bass! How do you test for "Out of Phase" speakers? There are two tests! Listen to the audio - Place the bass at the highest setting, turn the volume to a moderate level, adjust balance and fade to one speaker. Listen to the bass, balance to the opposite speaker. If speakers are out of phase, you will loose bass response as you balance through the center detent and bass will return when one speaker is on. Then fade to one speaker, listening to the bass. Balance to final speaker listening to the bass. If you have access to the speakers - Place a "Flash Light" batter across the speaker contacts, the speaker cone will jump forward away from the magnet or in toward the magnet on the speaker. When the speaker cone jumps away from the magnet, recongize which terminal is attached to the (+) positive side of the battery, this is the (-) positive terminal of the speaker. My car stereo is installed and I have no sound?
" wire of the aftermarket wire harness. However, there may be audio level problems when using an aftermarket stereo in an amplified factory system. An amplifier bypass cable or in-line "Hi/Low Level" adaptor may be needed for matching the aftermarket stereo output level to the factory amplifier. My car stereo reception is poor? Did you hook up the antenna to the car stereo? Did you use the correct antenna adaptor if needed? Many vehicles have an antenna amplifier to increase reception.